Joanne invites her three best friends, Carys, Andrea and Zoe, to a mystery birthday weekend. Carys and Andrea aren't looking forward to the party as their relationship with Joanne hasn't been as good as it used to be for a while. For the sake of friendship they accept though, which is something they might deeply regret. Joanne feels wronged and she has a plan. Her weekend isn't about celebrating the bond she has with her friends, it's about exposing secrets. The four friends are in a remote cottage in the woods and have no means of communication. How will this weekend end? The Birthday Girl is a fantastic gripping story. The relationship between Carys, Andrea, Zoe and Joanne is complex. Joanne excels at snide remarks, she's good at digging up information and she's on a mission. She also has the upper hand because her friends don't know what they can expect from their weekend away. That's an interesting idea for a story and I loved Sue Fortin's execution. The atmosphere is either heated or frosty and I couldn't wait to find out what would happen between the friends when the secrets would eventually come to light. Finding out what those secrets would be made me incredibly curious and kept me on the edge of my seat. Sue Fortin tells a large part of The Birthday Girl from Carys's point of view. She's an interesting multilayered person. Carys hasn't got an easy life and she struggles with issues at home. She has a complicated past and this makes her a fascinating main character. Carys has plenty of survival skills, which come in handy while spending a weekend outside. I loved how strong and resilient she is and couldn't turn the pages quickly enough to discover more about her. Sue Fortin has made the four friends all very different. Andrea is outspoken, daring and loud, Zoe is bubbly and upbeat, and seems to be the least strong of the group, and Joanne is haughty and proper. I loved this combination of characters and couldn't wait to see what Sue Fortin would have in store for them. The Birthday Girl is thrilling, surprising and suspenseful. Sue Fortin knows how to build tension and the story is filled with unexpected twists and turns. I love stories about secrets and wasn't disappointed, Sue Fortin manages to come up with a large number of good ones. Because The Birthday Girl is a story about friendship the relationships between the main characters are deep straight away. They're complex and nothing is entirely black or white. There's plenty of emotion, there's drama and there are many spectacular complications. It all comes together in a terrific finale that chilled me to the bone. I highly recommend The Birthday Girl, it's an amazing story. 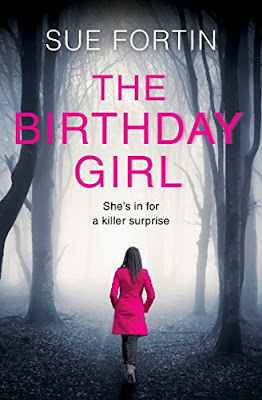 If you love a good gripping thriller about complex friendships you should definitely read The Birthday Girl. Published by Harper Collins' imprint Harper Impulse, Sue Fortin writes mystery, suspense and romance. 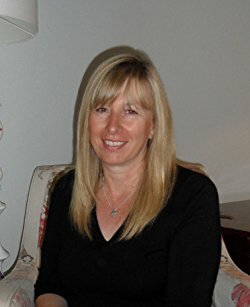 Sue is a USA Today and an Amazon best selling author, with The Girl Who Lied reaching #1 in the Amazon UK Kindle chart in 2016 and translation rights have been sold internationally. Her latest novel, Sister Sister, is a top ten Amazon UK Kindle best seller and is due to be released in paperback in April 2017. Lover of cake, Dragonflies and France. Hater of calories, maths and snakes. Sue was born in Hertfordshire but had a nomadic childhood, moving often with her family, before eventually settling in West Sussex, England. I’m married with four children and one grandchild, who all still live at home so it’s quite a busy place - but I absolutely LOVE it. We live on the south coast of England, nestled between the sea and the South Downs. I write for HarperImpulse and have, in the past, self-published. I’ve very lucky to be able to write full-time but couldn’t do so without the support of everyone at home. 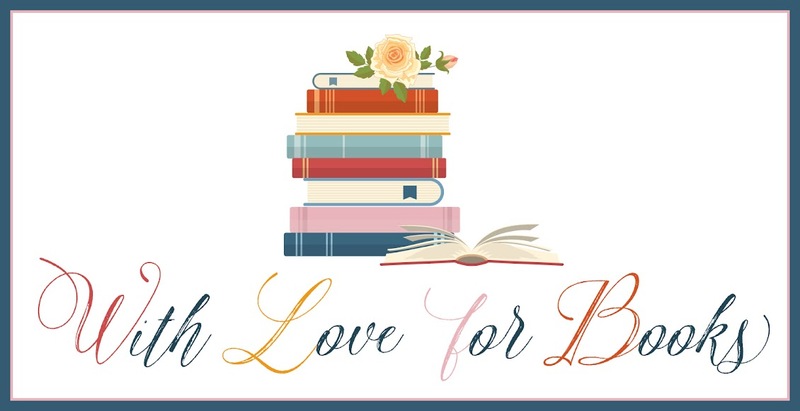 2) You write romance, suspense and mystery, what do you like the most about these genres? I love the relationships between people and these can all be portrayed in any of the above genres. With romance novels, I like to see the relationship between the hero and heroine develop as they overcome hurdles and settle conflicts along the way. 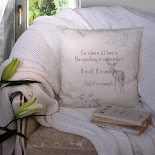 Having a happy ending is like snuggling up with a hot chocolate in front of a log fire. With the suspense and mystery, I love trying to work out who did what and why. Getting to the end of the book and finding out your suspicions were right is great, equally finding out you had the wool pulled over your eyes, is a wow moment too. Especially when you go back and see where you were thrown off track. 3) Can you describe the main characters of The Birthday Girl in seven words each? Carys - Loyal and forgiving but with a secret. Andrea - Honest and confident but sometimes overly so. Zoe - Enthusiastic to the point of being annoying. Joanne - Outwardly happy but still waters run deep. 4) The Birthday Girl is a gripping story about friendship, what inspired you to write about this theme? I love the whole intricacies and dynamics of friendships. They can be one thing one moment and another thing the next. Some are lasting and others fleeting. For friendships to survive the test of time, there has to be lots of giving, not just taking. 5) How do you write a good scary scene? Well, I try to build the tension up slowly, almost as if it’s happening in slow motion. I want the reader to feel what my characters feel and I want them to feel the atmosphere of the scene. I try not to rush a scene when I writing. Sometimes I’ll write the bare bones of what I want to happen and then go back and give it more depth afterwards. 6) You’ve been a writer for several years now, was it always your dream to become one and how did your career start? 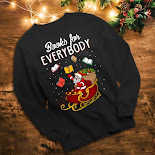 I was a massive bookworm as a child and I think it was a natural progression to want to write the type of thing I was reading. I can remember as a child writing stories and this never left me as an adult. It wasn’t until my youngest daughter was born and I had given up work that I thought it was ‘now or never.’ I self-published my first novel and then a year later submitted it to my publishers who were happy to take it on and offer me a three book deal. I’ve been with the same publisher ever since and they have really nurtured my writing over that time. Currently, in the corner of my bedroom. It’s not ideal but I decided the living room wasn’t the right place either. We’ve recently moved and prior to that I had a home office, which was lovely as I could shut myself away. I haven’t quite settled on a permanent writing space yet. I’m actually thinking of going back downstairs! 8) How do you usually celebrate the release of a new book? Social media is such a whirl on publication day. It’s really hard to keep up with all the good wishes, the shares and the reviews and I always worry I’ve missed someone out. In the evening is when I tend to celebrate but either going out for supper and/or having a glass of wine. 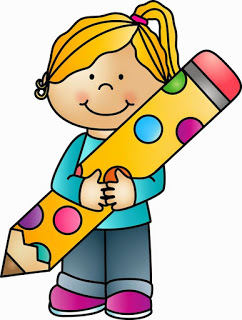 9) What’s the best thing about being a writer? The places your work can take you to, the situations you find yourself in and the characters you create. It’s wonderful to be able to escape into another world but then be able to dip out to the reality of your family. The best thing however, is the reader’s responses when they love your books and message or email to let you know. You can’t beat that feeling. I’m currently writing my next suspense novel and have another lined up to write after that one. I’ve always wanted to write a historical novel but I don’t know when that will happen. "has made the four friends all very different": yesssssssssss, thanks for that! I really like when authors let their charactres have varied voices, traits, appearances... so interesting. I like conflicted, complex characters and love when they drive the story. I also love this genre. I enjoyed learning more about Sue and her books. That sounds like a horrible situation to be in. Complex relationships? Check! Hidden secrets? Check! Suspense? Yes, that too! And, a bone-chilling finale? What's not to like? I'm curious about all those secrets. It sounds like a gripping story! Sounds really good. One to add to my Kindle.